Operating since 1996, Net Entertainment is widely regarded as one of the best casino software developers in the entire industry. Up until around somewhere between 2008 and 2012, the online casino industry was mostly dominated by software companies that focused on giving players as many games as possible without much thought to the quality of those games on an individual level. Although Net Entertainment first opened their doors in 1996, they didn’t really get into the spotlight in the online casino software space until a paradigm shift happened in the industry that went from a focus on quantity to a focus on quality. 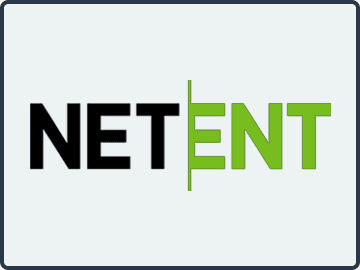 In today’s environment, NetEnt has become one of the top two or three software providers overall, and it’s all due to their aggressive release schedule combined with their extremely high quality games. While they don’t have the most titles out there, they definitely have a solid claim to be the best between the visual appeal of their games and the actual gameplay. Along with their licenses in the United Kingdom and many other parts of the world, they have become one of the most trusted and most sought-after software providers in the industry. First and foremost, we look for sites that have a strong case for being trustworthy between their license, reputation and how long they have been running. We also look at the total selection of games, including those from other providers as well, to give players as much fun as possible in one place. Casinos that have good promotions for the player in the long run, and not just a large welcome bonus, also get favored treatment in our rankings as long as the terms and conditions are fair and reasonable. The quality of their customer service is also important, as is the question of whether they have the network linked jackpots or not. We’ll discuss more about this down below. Net Entertainment really started picking up steam around the same time that online casinos started switching more to instant play platforms. Along these lines, their main platform is web-based, and all of their games operate within it. This makes it really easy for all kinds of players with all kinds of different computers to connect and play. All you really need to get started is an updated web browser and an Internet connection, which is possible from all major operating systems, including Windows, Mac and Linux. Even though their games have exceptional graphics and sound, they load pretty quickly. This is extremely important since all of them have to be loaded up online each time you play in your Internet browser, but it’s clear from the fast load times that they have been built from the ground up for a fast, strong performance. They also don’t hog system resources or slow down your computer when you’re playing them, which is a problem that some of the competition has faced from time to time. In addition to their regular platform, they also offer mobile versions of all of their games. Some of these mobile titles have been converted into what they call their Touch line of games. For example, if the normal version of a game is called Sparks, then the mobile-specific version would be called Sparks Touch. The idea is that they have revamped the interface aspect of these games to work better on touchscreen mobile devices like tablets and smartphones, though the rest of the gameplay is exactly the same. Even if a game hasn’t been converted to the Touch line yet, you can still enjoy it with regular controls via mobile. The thing that this software company is known for the most is their extremely high-quality online slots. They probably care more about quality than any other provider out there today, and they’ve even went so far as to pull games from their line-up to be replaced by newer titles when they think they’ve ran their course. This helps to keep their overall selection full of extremely high-quality titles, but you don’t really have to worry about them pulling your favorite games since they’ve only pulled lower quality slots that were produced in the past. Their selection as a whole includes classic slots, video slots and progressives. Their Mega Fortune progressive slot includes multiple jackpots, and it has previously broken the world record multiple times for the largest online jackpot in history. There’s no question that many of their games would have a legitimate claim to the title of being best in the world. For more information you should check our dedicated page of the best NetEnt Slots. While NetEnt’s selection of slots is world-class, their selection of table games constitutes a bit of a weakness. While they do have high-quality production values for games like roulette and Baccarat, they are missing some key titles that you would expect from a top-tier software provider (eg: craps). With that having been said, they do offer up blackjack and multiple variations of video poker in addition to a few other types of table games. This selection includes casino hold’em, Caribbean stud poker, red dog, oasis poker and other games. In addition to the regular table games, many NetEnt-powered online casinos also offer live dealer games. Blackjack and roulette are the main games that they have available, and it offers you a chance to experience a great mix between the live environment and the online environment with real dealers running the games. You’ll experience all of this through high-definition video and audio feeds as the games unfold in real time. Extremely high-quality online slots with a serious claim to be the best in the entire industry. Multiple licenses from several different major jurisdictions, including the United Kingdom. Over two decades of experience in the industry with not a single scandal or problem case they were ever responsible for. Good production values in their table games and live dealer games. Because they focus so much on quality, they don’t have as many new releases each year as some of the competition. They are missing depth in their table game selection, especially with their lack of a craps game. Net Entertainment has established and cemented their position at the top of the online casino software provider mountain with only a couple of other competitors that come anywhere close. The quality of their games has yet to be matched on anything resembling a consistent basis. On top of that, their software “plays well with others,” meaning that it’s really easy for online casinos to use their games in addition to those from other parties, and you’ll frequently see their games added alongside the Microgaming Quickfire platform. Overall, they’re a great company with plenty of high-quality titles with no limit in sight of just how great they will become.